The complete newsletter can be opened by clicking this 500 kB pdf file. Shawn and Tricia Drennan are landowners facing a pending windfarm project known as Kingsbridge II. 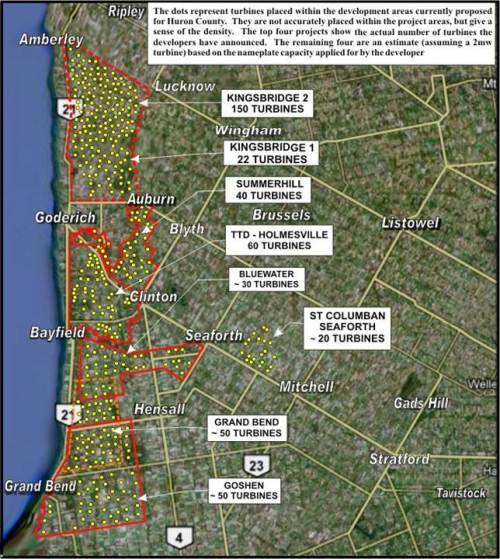 Kingsbridge II will consist of upwards of 150 turbines one of which will be as close as approximately 650 meters from their home. 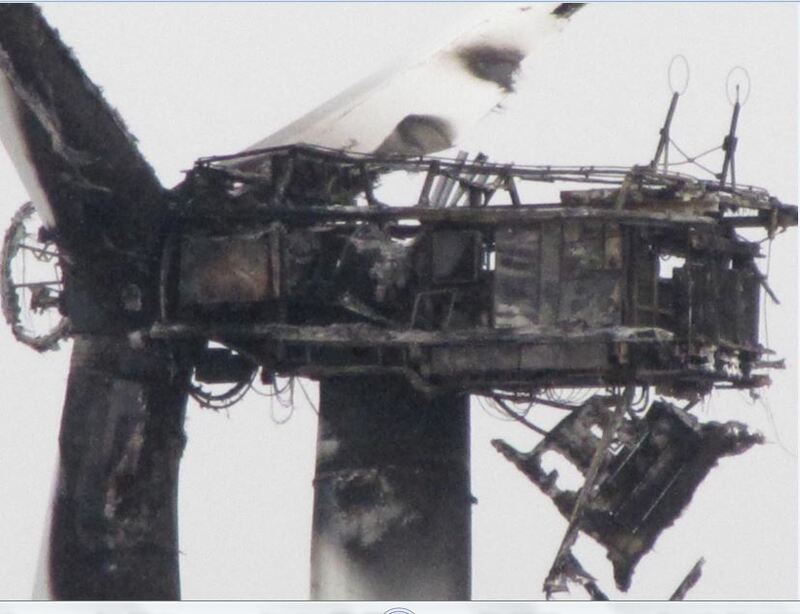 Twelve more turbines will be located within the surrounding two kilometers. 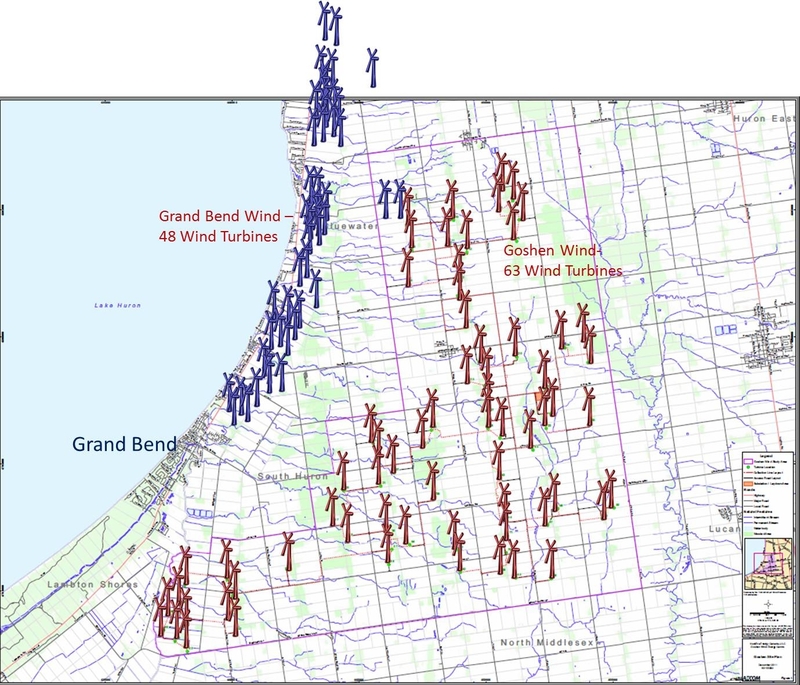 After learning that eleven families living amongst two different wind projects (one located in their neighbouring township) had their homes purchased by wind companies, the Drennans sought to gather key information from these former residents about the adverse health and safety effects of the wind turbines. 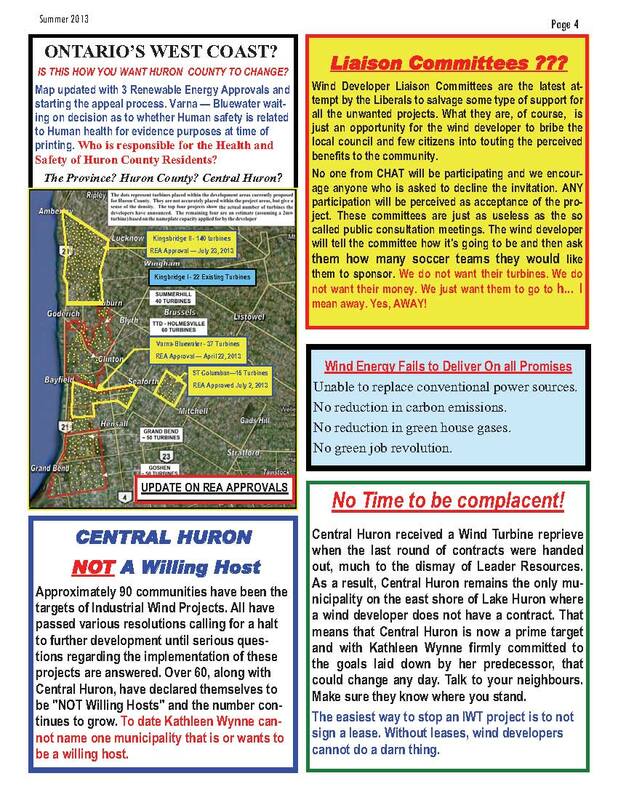 However, they learned that as a part of the buyout agreements, these residents were blocked from discussing any negative experiences with the wind turbines, including adverse health effects. 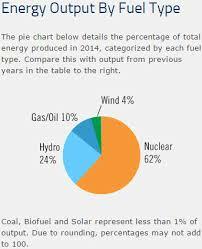 Important Wind Turbine Case: Drennan Appeal Successful! Chief Medical Officer of Health, Dr. Arlene King, was ordered by a Superior Court judge to testify. Over the objections of Dr. King’s lawyer, the Chief Medical Officer of Health was ordered to testify on her knowledge of the health effects of wind turbines. Justice Sanderson rejected government arguments and quashed the lower court ruling of Master Haberman. 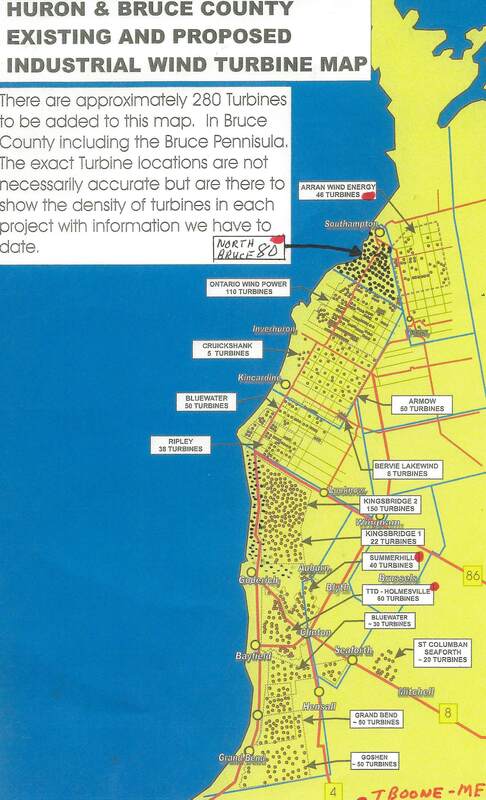 For a detailed map of the 3 projects (260 turbines) shown below, open this pdf. 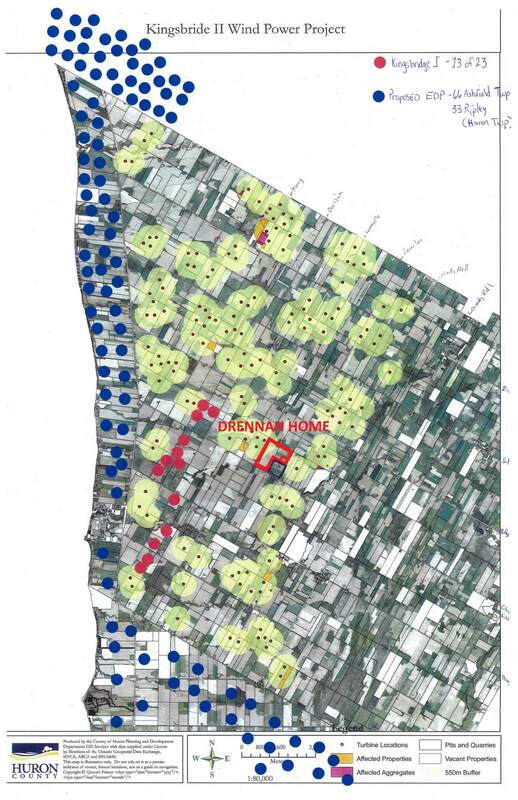 The first map shows the Township of Ashfield-Colborne-Wawanosh, located in the northwest corner of the County of Huron. The yellow circles fall in the area bordered by Amberley, Lucknow & Nile. You are currently browsing the archives for the Huron County category.